In par with demanding protection and reliability of critical electronics applications, power and bandwidth becomes vital and reliability requires surge protection devices to be incorporated in today’s networks. 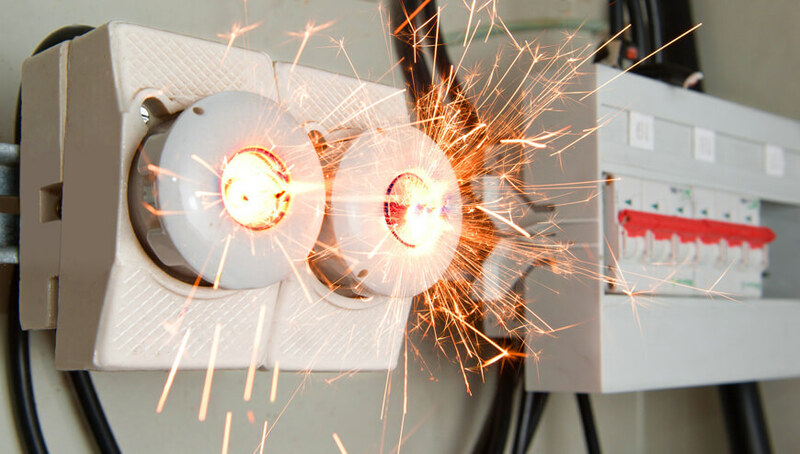 The Micro Power R&D offers high quality, innovative surge protection solutions for sensitive electronic equipments. In the long run, as a premier manufacturers of commercial, industrial and residential surge suppression equipment, we continue today, as an innovative leader in the design and engineering of AC, DC, data and RF surge protection solutions using the latest MOV, silicon , hybrid and Nano technologies. We provide comprehensive coordinated power and signal integrity solutions to meet your network requirements. Our products ensure that lightning and other electrical transients will not be the cause of down time due to equipment damage or destruction, unless the given facility is subjected to an ever worst lightning strike or in the event of Ball lightning effect. Our custom surge protection solutions for power and wireless sites, telecommunications, railway, military ,residential, commercial facilities and energy OEMs and service providers include AC, DC, RF and high-speed data as well as signal protection, grounding accessories, integrated cabinets and power distribution units. From the tower top to the central office, we have a protection solution to meet your needs. Working together, we can assist in determining the best solution to meet your application, budget and maintenance requirements, to create a long term value, revenue and ultimately a significant return on investment. Zone-Guard series Systems provide a comprehensive line of surge protectors designed for indoor and outdoor communication and control data line protection. Zone-Guard offer low voltage dc, 24 V, 48 V and high voltage ,dc industrial surge suppressors in multiple mounting options configured in both indoor and outdoor enclosures. For over fifteen years, Micro Power product line provided industrial grade ac surge protection for critical facilities. Electronic requirements continually advance with changing user demands and safety concerns. As power and signal integrity demands grow in accordance, the R&D group is well positioned to meet the exciting challenges and opportunities to support markets and applications within a technically dynamic and ever-changing global marketplace. Providing a smart product line alone, won’t ensure the total solutions, unless the given facility is not subjected to a comprehensive risk assessment followed by environment, natural fabrics of the building, soil conditions, equipments housed inside the facility and so forth; unless, technically compromised, in terms of lightning and transients, protection will never be achieved, but the Micro Power team is geared to provide the total solutions to its customers in anywhere in the world. Our mission is to supply safe and efficient products of the highest quality based on state of the art technology combined with indigenous techniques and utilizing the latest manufacturing processes in accordance to both national and international standards, whereby we provide environmentally friendly solutions that exceeds customer expectations.